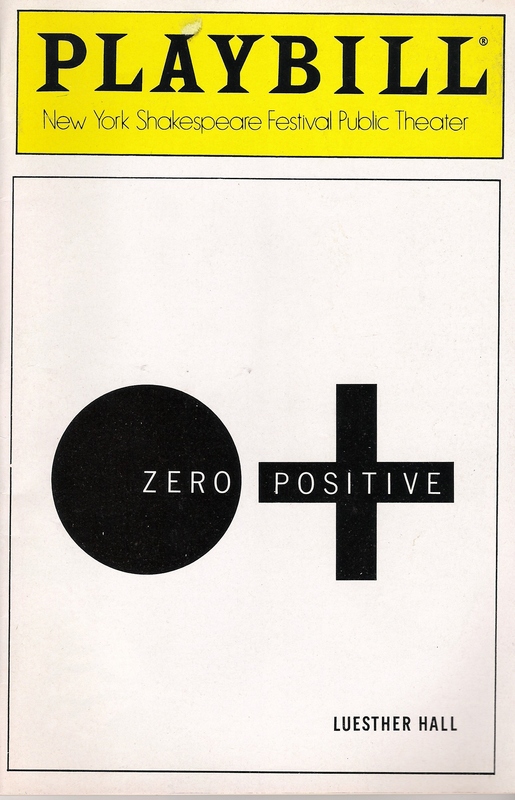 9.11.13 — The Public Theater’s New Work Now series has started including a play from the past, and this year’s selection was Harry Kondoleon’s Zero Positive, which Joseph Papp originally produced in 1988. 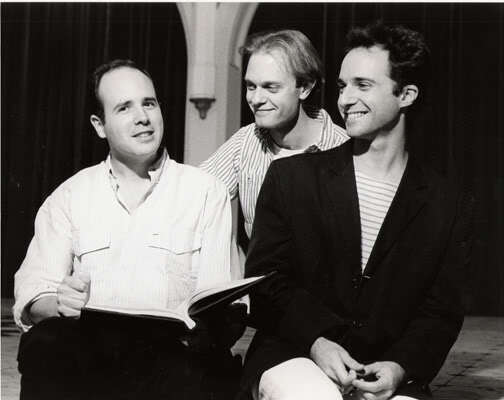 Published in M. Elizabeth Osborn’s anthology The Way We Live Now, Zero Positive was part of the second wave of plays about AIDS, a lyrical and theatrically free-wheeling step beyond informative first-line dramas such as As Is and The Normal Heart. It’s one of the strongest plays in the body of work by Kondoleon, who sadly died of AIDS in 1994 at the age of 39. 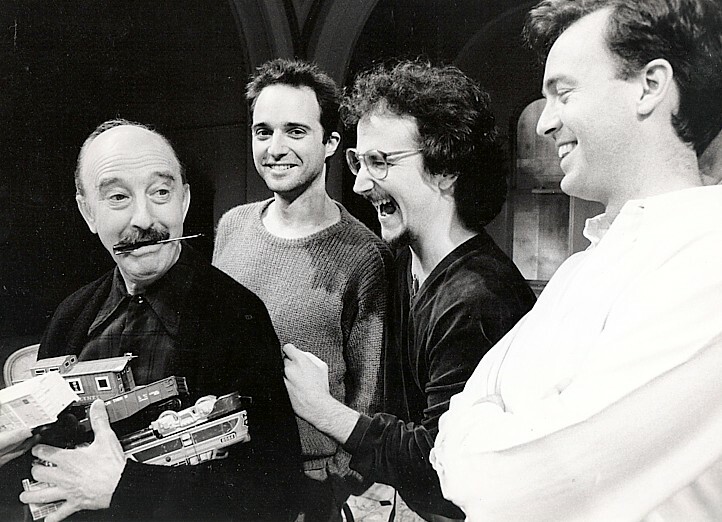 The original production was a troubled one in that the playwright became dissatisfied with the actor in the central role, Reed Birney, and fired him, which made the director, Mark-Linn Baker, resign in solidarity. Birney’s replacement was no slouch – David Hyde Pierce – and director Kenneth Elliott picked up the pieces, but the show didn’t make much of an impact, and the play remains one that is more admired than produced. 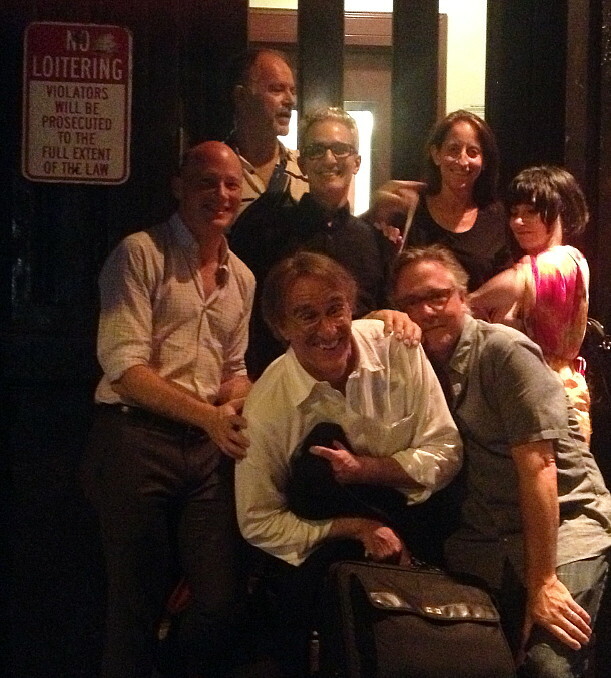 Sarah Benson, artistic director of Soho Rep, assembled a fantastic cast for this one-night-only reading, which served the purpose of establishing that the play has lost none of its emotional resonance in the intervening years. Himmer lives with his father, Jacob Blank, a poet and philanderer whose estranged wife has very recently died, sending him into a grief-stricken time warp. Himmer’s BFF Samantha arrives with the news from her doctor that she and Himmer have both tested positive for HIV. Their friend Prentice, who is probably infected but is opposed to taking the test, insists, “It doesn’t mean anything.” Himmer knows different. “It’s a death sentence,” he says – a bit dramatic but not an untypical response in the dark ages before new treatment options made HIV manageable. As a tribute to his mother, Himmer decides to put on a verse play called The Ruins of Athens he’s found among her papers and approaches his actor friend Patrick for help. Patrick is so spectacularly self-absorbed he can do little except complain about how his brilliant auditions never get him hired. He does know a woman named Debbie Fine who’s recently come into several million dollars from her family, and he enlists her to bankroll putting on the play. When Debbie Fine arrives, Jacob mistakes her for a nurse, she plays along, and they improbably fall in love. She makes a big donation to a local hospital to convert a conference room into a solarium that serves as theater for the play, in which they all perform. I got to have a conversation after the reading with Benson, who told me she came across Harry Kondoleon’s plays when she was a young theater artist in her teens and twenties growing up in Scotland and eager to learn about American theater. We talked about what a strange play Zero Positive is – how it begins in a kind of living-room naturalism but then progressively departs from the mundane reality of clothes and food (the stage direction “It is lunchtime. It is always lunchtime” is a classic Kondoleon) until it arrives at a timeless theatrical zone. A toy train set figures heavily in act one and poetically implants a disorienting sense of scale. Each of the five scenes takes a slightly different form, almost becoming its own play. The fourth scene in particular becomes a kind of existential way station – the characters are ostensibly having an indoor picnic in the bare hospital room that will become their theater, yet they end up acting like they’re outdoors. And Kondoleon’s writing rises to exquisiteness as each character reveals something of his or her essence. the merry whistle of the flute. Many longtime Kondoleon fans and followers attended the reading. A bunch of us went out to dinner afterwards (Stephen Soba and his partner Jonathan, Mitchell Lichtenstein, Rita Ryack and her partner Porter, Ellen and Judy Dennis) for delicious food and wine at Aroma, where we reminisced about Harry and exchanged notes on the real-life experiences that fed into the writing of Zero Positive. We were all very grateful to Jonathan Lomma, the William Morris agent who represents Harry’s work, for instigating this return visit to a beautiful play.